Villa Reeds House 10 Barbados. 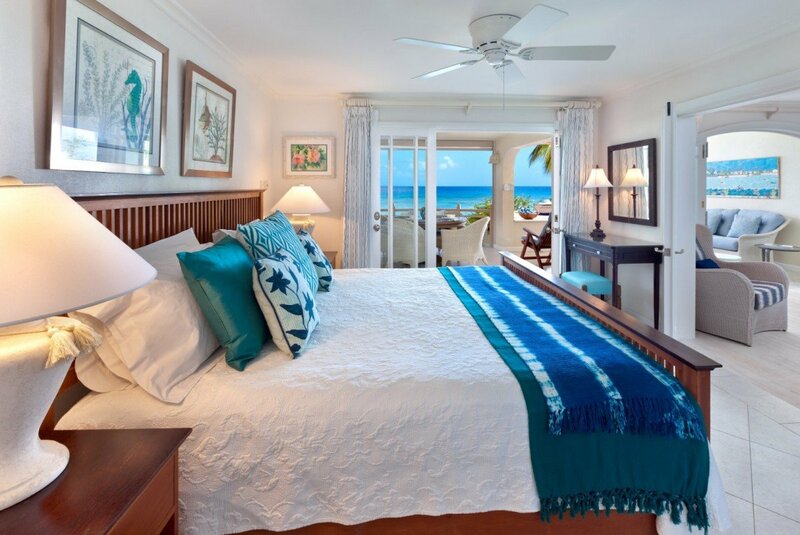 If you want to be just steps from flawless white sands and turquoise seas, but you do not want to share them as part of a large resort property, the Villa Reeds House 10 in Barbados is the answer. 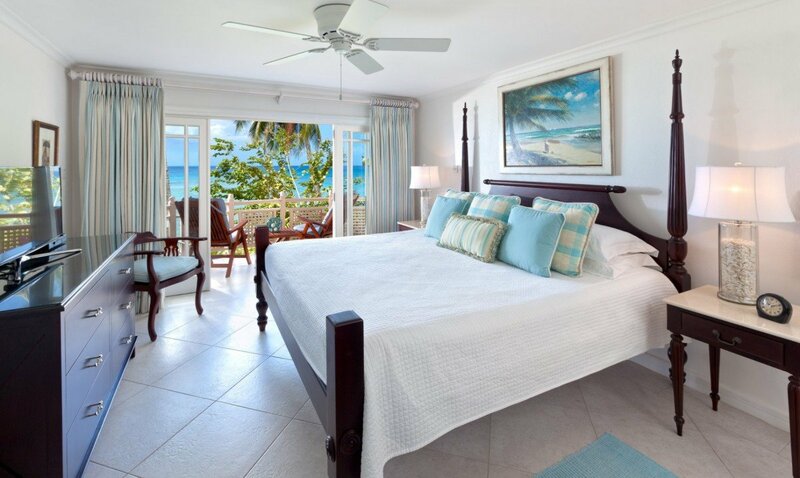 This private, apartment-style villa sits directly along the beachfront of the St. James area of the island and places you just steps from the wonderful waterfront and includes an array of additional benefits. A two-bedroom gem, it features a list of top-of-the-line amenities along with its fantastic location. 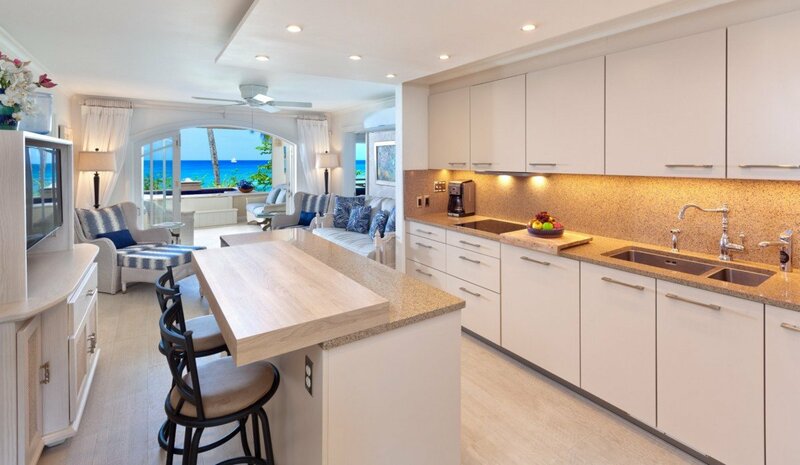 To get things started, your stay includes the services of a private cook who can prepare two of your meals each day, and a household staff to tend to all housekeeping needs. There is also that amazing waterfront which is open to you at all hours and furnished with towels, lounge chairs and more. There is also your amazing villa, which might easily serve as a destination all on its own. After all, it opens to that non-stop scenery and those delicious sea breezes, and provides you with an array of indoor and outdoor living spaces to enjoy. The terrace is at the front of the villa and opens to the beach. 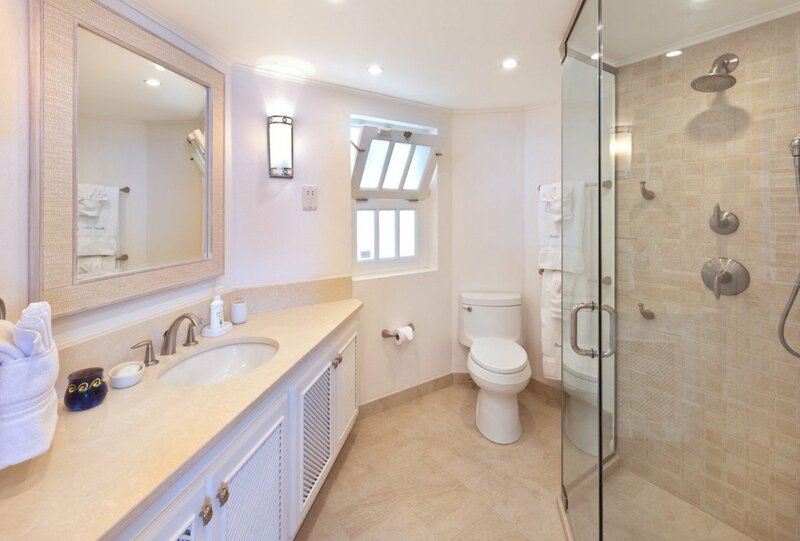 It includes an oversized plunge pool for day or evening soaks. It is flanked by a large lounge and there is an al fresco dining room to the opposite side. Just a few steps inside is the large living room and great room space which includes the breakfast area and the formal, gourmet kitchen. You are free to use it whenever you like, and your cook takes care of the rest. 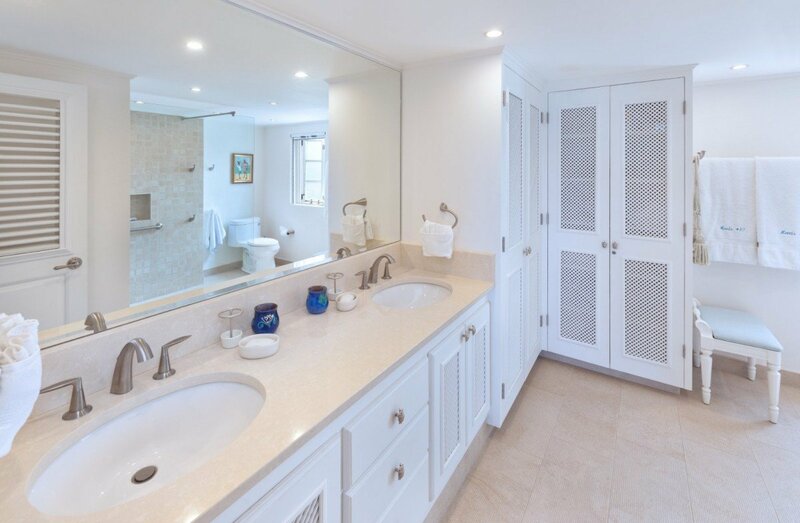 The bedrooms are spacious and appealing, and both are king suites that open to terraces or balconies, and which provide large and private baths. Ideal for your honeymoon or romantic holiday, the Villa Reeds House 10 is also perfect with family and friends. Bedroom 1: Master bedroom with a king-size bed, A/C, ceiling fan, WiFi, Apple TV, access to terrace and en-suite bathroom with shower, double vanity and WC. 2 guests maximum. Bedroom 2: Bedroom with a king-size bed, A/C, ceiling fan, WiFi, Apple TV, access to terrace and en-suite bathroom with shower, vanity and WC. 2 guests maximum. Reeds House 10 is offering 10% off for travel between April 15, 2019 and June 30, 2019. 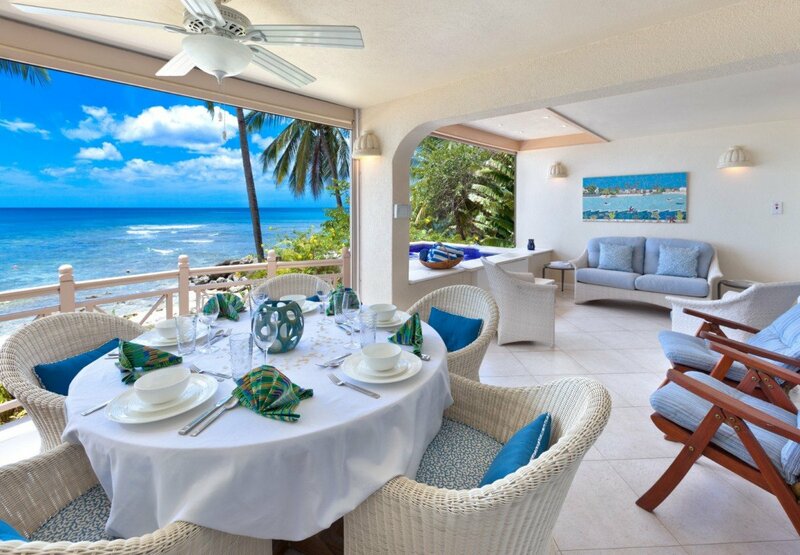 What a beautiful Location Located on the first floor overlooking the Caribbean Sea . Lovely pool, excellent balcony area , Staff helpful , Sea Blue . The beach is just there , small but perfect . Went swimming and snorkelling off the beach. The staff was beyond AMAZING! So glad my in-laws suggested this place. Would definitely go back if for no other reason than that amazing water! The staff again made this place feel so special. Not that it wasn't luxurious, but the staff was so helpful and friendly. 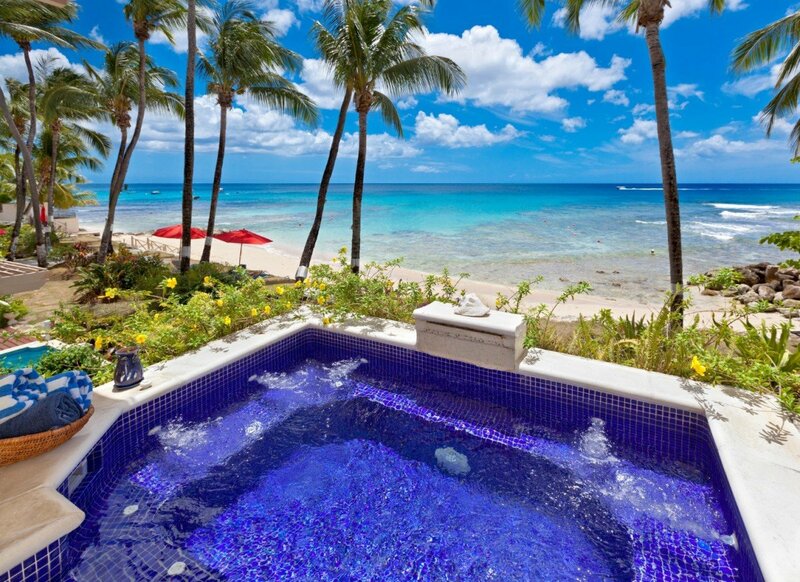 Definitely a great place to stay while in Barbados! We thoroughly enjoyed Reeds House 10. We traveled with another couple and this (2nd floor) unit was perfect size and fit for the four of us. The unit is well appointed, well decorated, has wifi, and an outdoor seating area (for dinner and drinks and watching the sunset) and a nice soaking pool for cooling off and watching flying fish skip across the sea. The beach was quiet and clean and perfect for snorkeling and kayaking, the lounge chains and umbrellas (set up just for you) were quite inviting. Gillian our housekeeper and cook was so friendly and inviting, we just loved her.. and her Rum Punch was the best on the Island. The other staff, Mark, Mona Lisa and others we all so friendly and helpful, we will absolutely go back some day.